Two Russian tycoons are set to go head-to-head in a legal battle in London. About a month ago the self-exiled Boris Berezovsky, who's a wanted man in Russia, filed a lawsuit against business magnate Roman Abramovich. 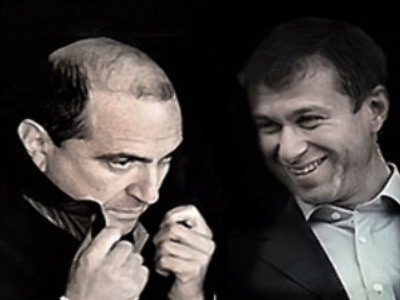 In the suit, Berezovsky claimed the owner of Chelsea football club had illegally forced him and the late Georgian billionaire Badri Patarkatsishvili out of a number of businesses. Berezovsky claimes that his one-time protege, Abramovich, used intimidation to force him to sell his stakes in the oil company Sibneft, metals company Rusal and the television channel ORT for a fraction of their market value. Berezovsky is said to be claiming around$US 4 billion in compensation. The hearing started in a London court on Friday.